The laundromat is conveniently located on Hillcrest Drive in Frederick, MD. Situated just off of West Patrick St., this attended laundromat allows you to choose between full and self serve options. 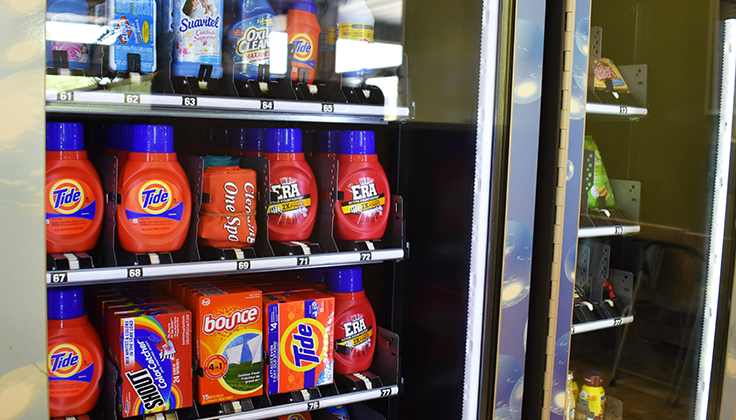 Our new state of the art equipment uses a laundry card so that you can add money with cash or a credit/debit card. Hillcrest Spot is a family-owned laundromat and works hard to bring you a positive laundromat experience. This laundromat in Frederick, MD has plenty of washers and dryers in a variety of sizes to ensure that you can get your laundry done when you need it done. This laundromat has a lot of parking to accommodate all of our customers. Enjoy folding tables, laundry carts, and vending machines. 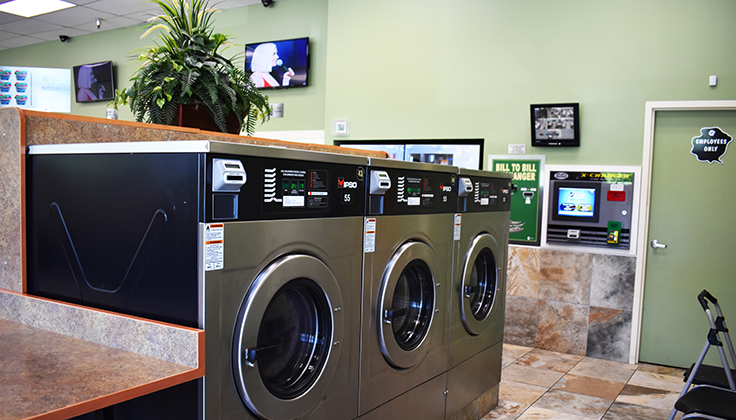 Plus, bill exchanger, air conditioning, free wifi, televisions, and security cameras are just some of the perks that that this Frederick laundromat has to offer. Services that we offer include drop-off or pick-up and delivery. We wash, dry and fold your laundry to your specifications all within 24 hours or faster. You can even choose which chemicals you would like us to use, and specify clothesline or tumble dry. Our chemicals of choice are Tide and Snuggle and bleach (as needed) unless you specify something else if allergies are an issue just let us know and we’ll work on a plan to suit your needs. Whatever works best for you we hope that you will give it a try. If interested give us a call and order pick-up right from your phone. We do laundry, so you don’t have to! 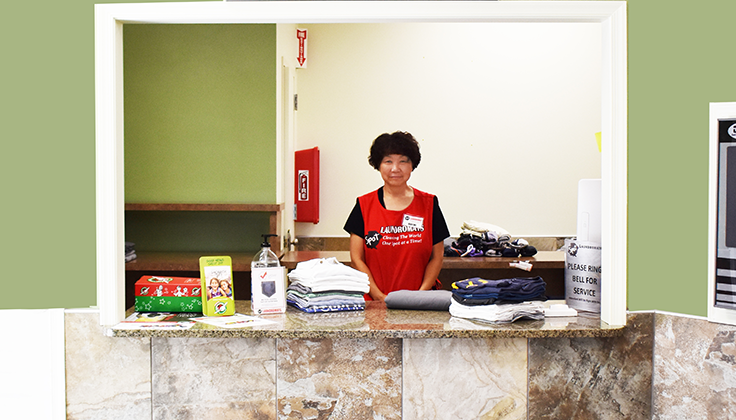 Spot’s mission is to provide you with a clean friendly place to do your laundry. 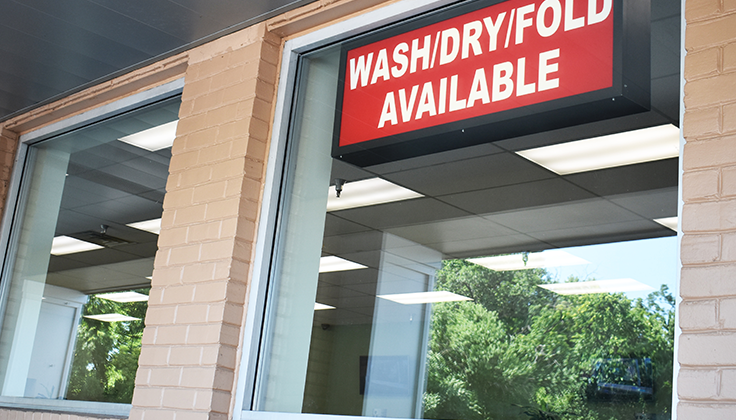 The Hillcrest Spot laundromat is different from the competition because we care about you! It’s our goal is to make sure that you are happy, and that your clothes leave cleaner than they came. 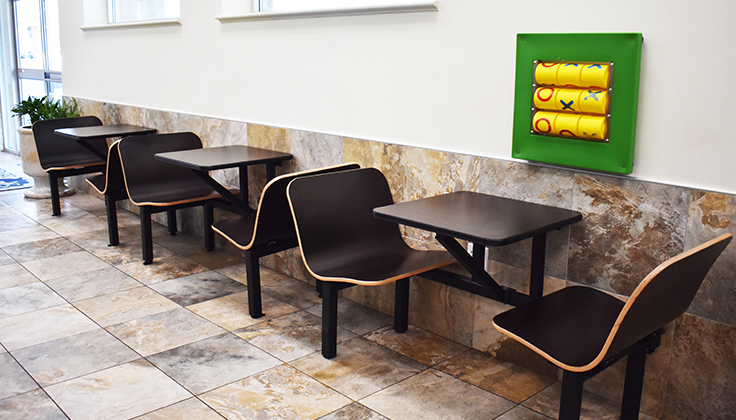 We strive to maintain a high quality of cleanliness at all of our locations and work hard every day to improve our offering to you our loyal customer. Your happiness is our number one priority. 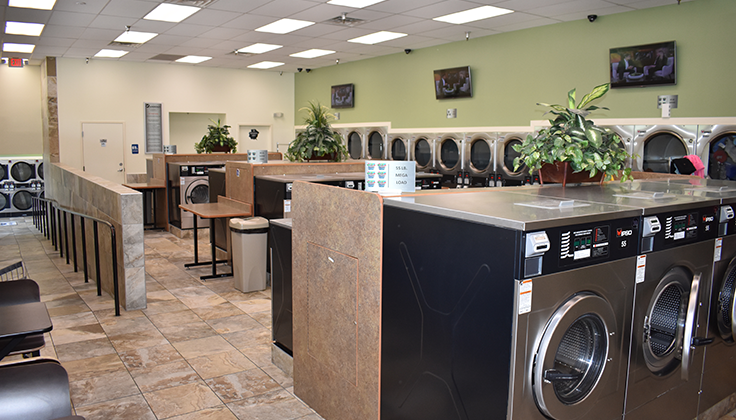 Spot laundromat takes pride in offering our customers a variety of laundromats to choose from, so if you are looking for a more basic, self-service experience feel free to check out one of our other Spot locations. If you just want to learn more about doing laundry, check out our Blog. If you also want to get discounts, and blog updates, etc… from Spot, please sign up for our email newsletter that goes out weekly. We love our customers and absolutely thrive on your feedback (both positive and negative) that’s why we encourage you to like us on Facebook and give us your reviews on Google. Your information is what allows us to know when there is a problem and when you are really satisfied.